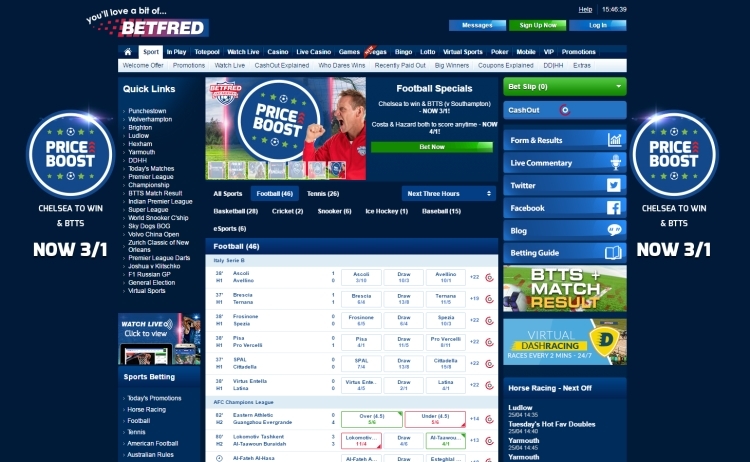 Betfred is one of the largest online bookmakers in the world, with currently close to 25 million visits per month. Betfred has a long historic background, being founded in 1967. It is a well-known brand and rightfully so. Punters that play at Betfred are usually very loyal customers – Betfred is a reputable bookmaker and offers more than very reasonable odds. Betfred belongs to the Petfre Ltd. Group and is a privately owned company. Nevertheless, we are 100% convinced that Betfred is reliable: you can be assured that your money is safe with Betfred. The odds for LIVE betting are an impressive 96% for the major competitions and these are superior compared to the other book makers. If you are an active in-play punter, do not waste your time looking for better alternatives. You won’t find them. What do you need to do to get this welcome bonus? Be advised that you will not be able to take advantage of the welcome offer if your 1st deposit is with Skrill, Paysafe or Neteller – just use any other method. You will receive all winnings from the free bets; the stakes will not be given back to you. The casino bonus must be wagered 50 x before it is converted into real cash. The summary below shows the average odds of the major sports disciplines. We are pleased to see that the odds for the major UK football leagues are in the higher end of the market. Betfred offers very attractive odds, in particular, 1-2 days before the match or on matchday. What makes Betfred unique are the very attractive LIVE odds, where the payout ratios offered for the English Premier League and the Championship are a whopping 96%. If you have an affinity with LIVE betting you can clearly win. These attractive odds are also provided for the English League 1, the English League 2 and the Scottish Premier League. If you frequently bet in UK football competitions, Betfred is one of the best bookmakers for you. Especially if you do a lot of LIVE betting. Champions League odds are excellent when you bet 1-2 days before the match or on matchday. The odds for the 4 major European competitions (German Bundesliga, Italian Serie A, Spanish Primera Division and French Ligue 1) are around average, with payout ratios around 95%. But again, for LIVE betting the odds are clearly superior and 96%. It is, therefore, best to wait till the match is in-play when you place your bet. 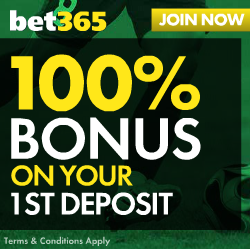 For the 2nd tier European competitions (Turkish Super League, Dutch Eredivisie, Belgian Eerste Klasse and the Portuguese Primera Liga), the odds have payout ratios of approximately 92%-94%, but also here the LIVE odds are superior. For Tennis, the odds are around market average. For LIVE betting, these are slightly better than the market average. For Snooker and Darts, Betfred offers odds in line with the market. For Rugby Union, the odds provided by Betfred are at the higher end. The chart below provides a summary of the payout ratios we have calculated for you. These are for 1×2 bets. The payout ratios of other bets (such as Asian Handicap, Over/Under or Both Teams to Score) are provided on our Betfred Odds Analysis Page. The chart below provides a summary of the payout ratios we have calculated for you. These are for 1×2 bets or Home/Away bets. For more details, including a comparison with the market average, are provided on Betfred Odds Analysis Page. 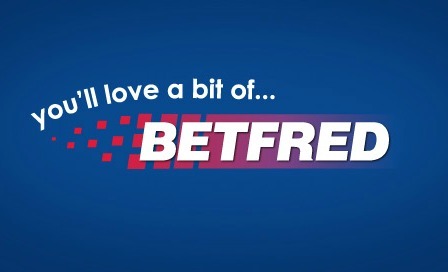 Betfred sponsors a broad range of global sporting events such as the World Snooker Championship, the Super League (Rugby) and the Scottish League Cup. Betfred is easily one of the best bookies to play at. Customer service is stellar, the welcome bonus is generous, and overall, the odds are some of the best in the world. 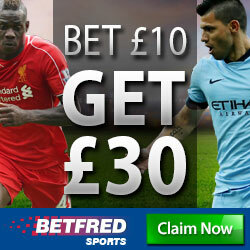 If you do not have an account yet at Betfred, you should sign up today.